Pearl Hawver believes in the power of a positive attitude. She also believes in the strength of preventative care, that’s why every year on her birthday she gives herself the best gift possible by making sure to get a mammogram. That gift paid off in January 2015, when her routine mammogram discovered a lump in her in her right breast. It’s that same direct, no-nonsense approach Pearl used to face her diagnosis of Her2+ breast cancer. She turned to the team of Dr. Farn Chan and Dr. Masoom Kandahari, Triple-Board Certified Hematology and Oncology Experts. “The mission of our team is to implement a patient-centered environment where patients are at the core of discussion and decision making,” explains Dr. Kandahari, Medical Staff President at Sentara Northern Virginia Medical Center, who has been treating patient in the Woodbridge area for almost 30 years. “We often know all the cancer patients and share the responsibility in taking care of them, so patients won't be with a completely new doctor who is not familiar with their case if one of us is not available. It also provides a unique opportunity for patients to have a second opinion in their care, without literally having to go to a separate location,” adds Dr. Chan, Chairman of the Cancer Committee and breast program leadership member of the hospital. With Pearl’s diagnosis of HER2+ breast cancer, the doctors were able to consult with one another to determine the best course of action. “Her2+ breast cancer tends to be more aggressive, associated with higher risk of recurrence and poorer prognosis in the absence of systemic therapy. However, prognosis has improved with the availability of Her2 targeted therapy,” explains Dr. Chan. Pearl’s personalized medical plan included: six months of chemo, a lumpectomy, receiving radiation and then following up with a year of Her2 chemo. Her positive attitude helped lead the way. “I did really well on chemo,” recalls Pearl, “I’m pretty laid back. I don’t let anything rent space in my head. I give it to God and we go from there. I don’t worry about things, I let the doctors take care of that,” says Pearl. Pearl says part of the reason things went so well was because of the support she received from her family, especially her younger sister, Phyllis. Phyllis, also a breast cancer survivor, helped Pearl get to her assorted appointments, sat with her through chemo and provided the emotional and moral support she needed. The 78-year-old is living her life to the fullest, spending time with her three kids, five grandchildren and five great-grandchildren, thanks to the team approach of Dr. Chan and Dr. Kandahari. The multi-disciplinary team approach, in the office and within the Sentara Cancer Network, allowed Pearl to get state-of-the-art care. 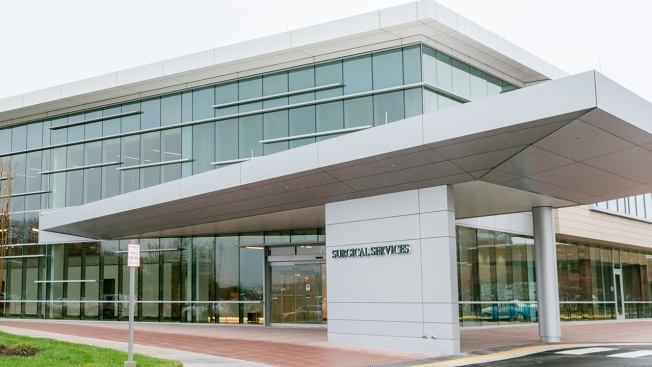 Sentara Healthcare is the first system in Virginia to be accredited as an Integrated Network Cancer Program by the American College of Surgeons’ Commission on Cancer, meaning connections to a network of doctors, researchers, and groundbreaking clinical expertise. Sentara Northern Virginia Medical Center was the first in the area to offer Xoft® Radiation Therapy System for patients with early-stage breast cancer. This, coupled with exemplary patient care of an Oncology Nurse Navigator, who guides patients and their family through the sometimes daunting experience of a cancer diagnosis, is all in an effort to improve health every day. To schedule an appointment, call 703-523-1560 or visit Sentara.com for more information on women’s health imaging near you.